On 16 January 1987, in Antwerp (Belgium), Kipling was created by three friends, Vincent Haverbeke, Paul Van De Velde and Xavier Kegels, and it was not long before the innovative idea of blending nylon, design and fun became one of the most casual and well-known brands in the world. The inspiration for the name was the author Rudyard Kipling, one of the greatest storytellers in the world and the author of "The Jungle Book." The little monkey, as well as a keychain, has become a trademark of Kipling and is recognized worldwide. 5. Present in social networks. 17/04/2019, 16:02 New promotions and banners in Kipling - Moda e Acessórios Femininos! 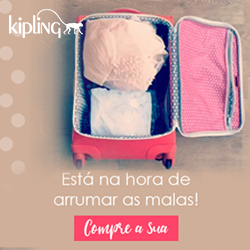 03/04/2019, 22:53 New promotions and banners in Kipling - Moda e Acessórios femininos! 26/03/2019, 17:10 New promotion and banners in Kipling - Moda e acessórios femininos! 13/03/2019, 18:19 Consumer Day - New promotions, coupon and banners in Kipling! 06/03/2019, 19:04 New promotion and banners in Kipling - Moda e acessórios femininos! 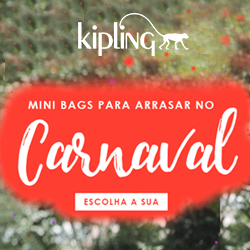 14/02/2019, 16:13 New promotion and banners in Kipling - Moda e acessórios femininos! 12/02/2019, 19:41 New promotion and banners in Kipling! 11/02/2019, 21:33 New promotion and banners in Kipling - Moda e acessórios femininos! 08/02/2019, 19:38 New promotion and banners in Kipling - Moda e acessórios femininos! 09/01/2019, 23:21 16/5000 New banners in Kipling! 18/12/2018, 23:09 New banners in Kipling! 06/12/2018, 23:30 New coupon at Kipling! 05/12/2018, 17:10 New banners in Kipling! 30/11/2018, 18:03 New banners in Kipling! 28/11/2018, 22:48 New coupon in Kipling! 26/11/2018, 15:58 Black Friday - New coupon at Kipling! 13/11/2018, 20:22 Black Friday - New commissions on Kipling! 07/11/2018, 20:05 New banners in Kipling! 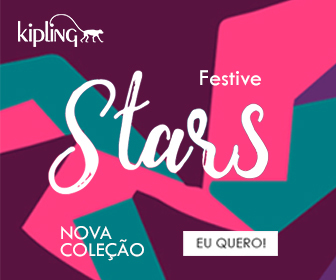 16/10/2018, 16:52 The offer Kipling - Moda e acessórios femininos is back! 27/06/2018, 18:14 New promo in Kipling! 25/06/2018, 18:08 New banners in Kipling! 18/06/2018, 18:30 New banners in Kipling! 08/06/2018, 20:36 New banners in Kipling! 25/05/2018, 18:38 Increase in commission on Kipling! The Kipling offer commission increased to 6.9% by 31/05. 10/05/2018, 21:14 New banners in Kipling! 08/05/2018, 22:39 New banners in Kipling! 08/05/2018, 20:54 New banners in Kipling! 19/04/2018, 18:19 New promotion and banners in Kipling! 16/04/2018, 23:31 New banners in Kipling! 06/04/2018, 23:13 New deals in Kipling! 04/04/2018, 22:47 New banners in Kipling! 23/03/2018, 23:38 New banners in Kipling! Come check out the new collection! 15/03/2018, 20:47 Consumer Day: New promotion in Kipling! 26/02/2018, 17:30 New promotion and banners in Kipling! New collection - Cotton / Up to 6X without interest. 09/02/2018, 22:26 New promo and banners in Kipling! New promo and banners in Kipling! 05/01/2018, 20:19 New promotion and banners in Kipling! The offer Kipling had an increase in commission to 6.15%. Take this opportunity to earn more. 14/11/2017, 19:37 New promotion and black friday banners at Kipling! 05/07/2017, 23:24 New banners in Kipling! 30/03/2017, 23:03 New banners in Kipling! It's time to pack your stuff! New banners are available in Kipling offer. Commission has increased for DIESEL! It is now 5,38% per confirmed order. Don't miss it and earn more! Check out the new banners in the offer. Enjoy the new banners added to the offer and earn more!